It's something every parent fears, and most of us have done...losing a child. For most of us, we have found our child quickly and have only our memories of those horrible moments. Lets keep it that way, shall we? Plan on brightly colored and/or matching outfits that stand out in a crowd. It can get crazy in the parks, and it is helpful to spot your party quickly. Take a picture of your child upon entering the park. It will help identify the clothing they are wearing, and what they look like THAT DAY. If your child has the ability to talk, and remember your cell phone number, this is the perfect time to start working on it. If not, there are aids that you can make, and buy to help. A simple idea project is to make a beaded bracelet with your phone number on it. If you aren't crafty, you can order one on Amazon. Or the one from Mabel's Labels has been handy for us. Talk to your kiddos about what to do if they can't find you. I always tell my kids to look for another mom with kids, but at Disney there is an even better option. Find a cast member. Anyone wearing a costume knows what to do if they encounter a child without their adult. Upon arrival, show your children what a cast member wearing a badge looks like. An Eye in the sky. Forget your bracelet, or have a non-verbal child? Don't worry. They have special stickers in Disneyland parks, and I used them on R3. All you have to do is walk into City Hall or the Chamber or Commerce (depending on the park), and ask for one. Those stickers let the cast members know that that kiddo needs a little extra attention. If your child does become lost, here is the information for Disneyland and Disney World. 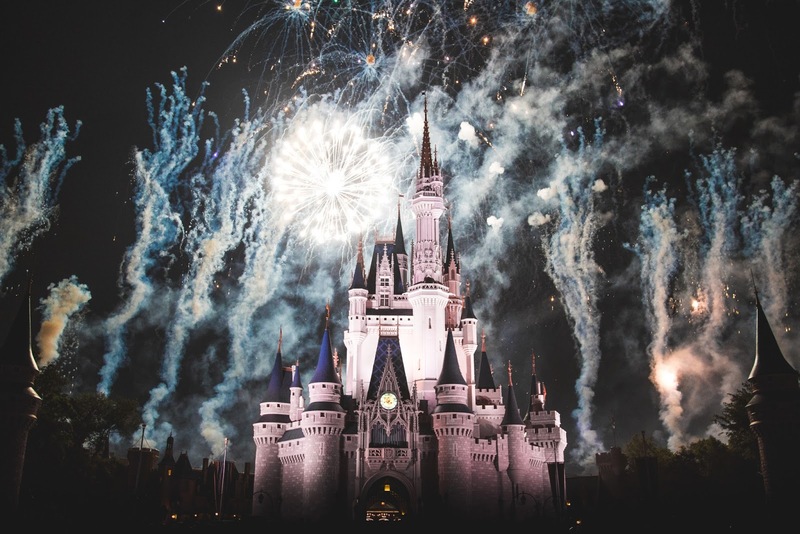 I sincerely hope you never need to use these resources, but having a plan can relieve the stress and let you enjoy Disney! 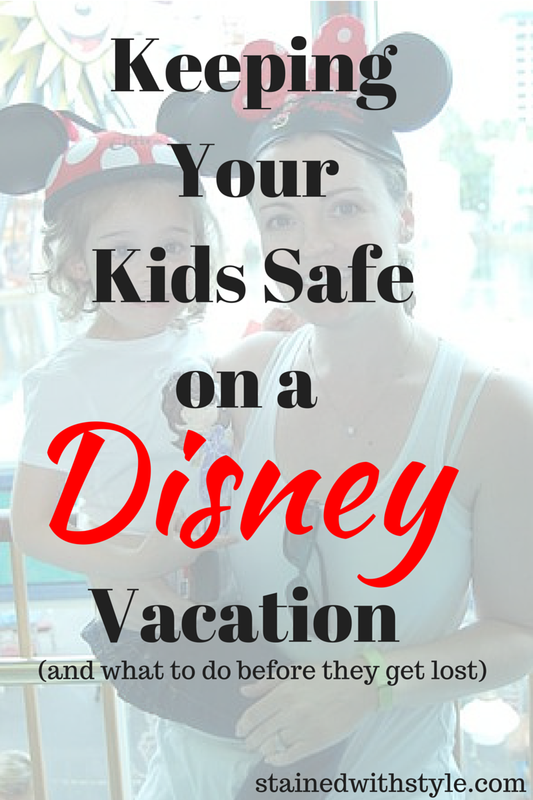 Have you ever lost a child at Disney? What is your best advice about what to do? STANDARD FTC DISCLOSURE: In order for me to support my blogging activities, I may receive monetary compensation or other types of remuneration for my endorsement, recommendation, testimonial and/or link to any products or services from this blog. Please note that I only endorse products that are in alignment with Stained with Style's ideals and that I believe would be of value to my readers. Stained with Style is a participant in the Amazon Services LLC Associates Program, an affiliate advertising program designed to provide a means for sites to earn advertising fees by advertising and linking to Amazon.com. Stained with Style is also a participant in the Ting, Share a Sale, Linkshare, Rakutan, and Instant Pot affiliates programs.